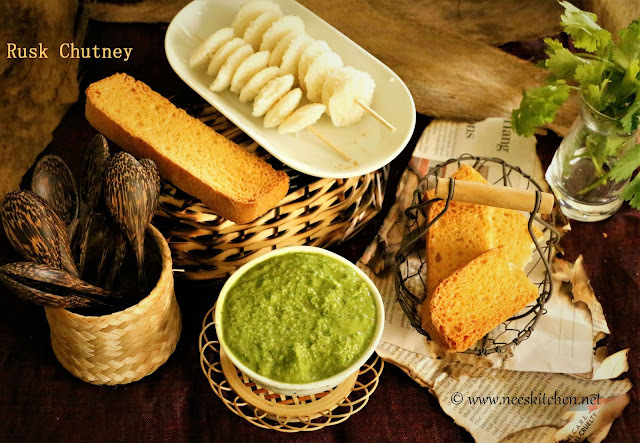 Today’s post is about Rusk chutney which is basically a no cooking & no-oil chutney. This is something which I make often as all of us enjoy it. Rusks are combined with fresh coriander, capsicum, roasted peanuts, lemon juice and garlic. I adapted rusk chutney from Archana’s Kitchen quite some time back. I didn’t get a chance to post them so far. Recently DIP Foods sent me “Classic Rusks” to try out and I thought I must take this chance to post this recipe. There is no cooking involved and hence it is ideal for bachelor's cooking. The rusks are made out whole wheat flour, butter, sugar, salt & veg yeast. There are no eggs hence very ideal for pure vegetarians. The packaging is good and once opened must be transferred to a zip lock or airtight containers similar to any cookies. 3. 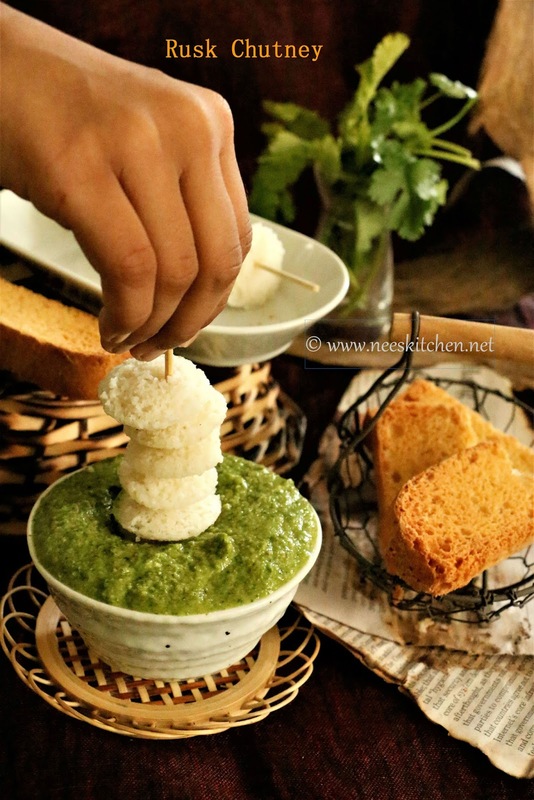 Serve as a dip to idly, dosa & many more.